There is a devastating response that Israel must employ regardless of the howls of rage that will undoubtedly emanate from the Obama administration and the ever hypocritical international corridors of power. I had hoped that my suggestion in that chapter would have borne fruit, but it was not to be. Let me suggest, again, what I had posited almost nine long years ago – a period in which hundreds more Jews have perished in Judea and Samaria and some 10,000 Jewish souls in Gaza were violently deported from their homes and farms by Israeli leaders who believed that their actions would bring, “peace in our time.” And oh, how the angels in heaven must have wept at such foolishness. A direct and pure Zionist response to Arab and Muslim terror against Israelis must be the building or rebuilding of Jewish villages throughout Judea, Samaria, all of Jerusalem, and the Golan in direct response to Arab butchery and barbarism. And each new village should be named in eternal memory of the Jewish victim who fell at the hands of Arab hate and evil. I had pointed out that the Greek playwright of the 5th century BCE, Euripides, once penned the words “Those whom the gods wish to destroy, first they make mad.” I then went on to add that, “today, some 2,500 years later, an Israeli government led by a once great military hero is responding to relentless acts of Arab terror and aggression in a way that is incoherent, indecisive, and frankly suicidal.” I was, of course, referring to then Prime Minister Ariel Sharon. Well we now know that Ariel Sharon believed that the answer to Palestinian Arab terror was simply to retreat from ancestral Jewish land (yes, Gaza is ancestral Jewish land) and to call it ‘disengagement’ through the use of a perverse euphemism. I asked two rhetorical questions: “Does the government not believe that seeing Israeli police and soldiers forcing out Jews and handing their land to Arabs merely whets the appetite of the Arabs, who call themselves Palestinians, to pressure the Jewish state with yet more acts of terror? Well, nearly nine years have passed and today we still witness Jewish pioneers in Judea and Samaria tormented at seeing their homes demolished while a blind eye is turned towards the hundreds of illegal Arab villas that dot the landscape of Judea and Samaria. Always there are those within Israel who feel they have to appease the Muslim Arabs and the demands of a hostile world, whether it be from Obama, the Quartet, the EU, or the UN. I have a close friend who always ends his letters with the words under his signature: Remember Shalhevet Pass. He remembers. You too remember, I hope, this Jewish 10-month-old infant who was shot to death by an Arab sniper while she was being held in her father’s arms in Hevron. And we have witnessed other Jewish infants; the child, the toddler and the baby girl, along with their parents, the Fogel family, slaughtered by Muslim Arabs who call themselves Palestinians, while their innocent Jewish victims slept on the Sabbath in their Samarian village home of Itamar. Remember too in 1979, Smadar Kaiser, her husband Danny, and their two small daughters, four-year-old Einat and two-year-old Yael, who were awakened in their northern Israel apartment at midnight by gunfire and exploding grenades. To quote Andrew MacCarthy in a National Review Online article, "Why they Celebrate Murdering Children": “Muslim terrorists broke into their home and while Smadar hid with Yael in the dark, suffocating crawl space, the terrorists grabbed Danny and Einat and marched them down to a nearby beach. There, one of them shot Danny in front of his daughter so that his death would be the last sight she’d ever see." Samir Kuntar was captured, but later released by Israel in return for the bodies of two Israeli soldiers murdered in Lebanon. Years of futility in the face of Arab knives, bullets, bombs, missiles and venomous diplomatic warfare, have availed Israel naught. The answer to aggression from the Arabs who call themselves Palestinians is to act in ways that make it so painful for them that they will come to realize that their violence and blood-lust becomes horribly counter-productive. By that, I don’t mean inflicting upon them higher and higher body counts. That does not faze them at all, for they welcome death as shahids and relish the 72 virgins allegedly awaiting them in paradise. Military responses to Arab violence are effective, but only up to a point. No there is a far, far more devastating response that Israel must employ regardless of the howls of rage that will undoubtedly emanate from the Obama administration and the ever hypocritical international corridors of power. It is a purely Zionistic response. Daniel Pipes has praised Prime Minister Netanyahu for finally agreeing to do in response to Arab terror what I have been demanding be done for so long; namely create Jewish facts on the ground in direct response to the Arab and Muslim butchery and barbarism. A principled Israeli government must make an irrevocable decision to finally respond to relentless Muslim Arab terror by restoring, rebuilding and creating Jewish villages throughout Judea, Samaria, Jerusalem and the Golan, every time the PalArabs murder or harm any Jewish man, woman or child. And each new village should be named in eternal memory of the Jewish victim of Arab hate and evil. Of course, I believe that Jewish villages and towns should be built anyway as a matter of national right between the Jordan River and the Mediterranean Sea, irrespective of Arab terror, but that is just one man’s opinion. And when the world rages that Jews are “impeding the peace process” by “building new settlements,” the Israeli, Jewish and Zionist answer must be made by articulate and attractive Israeli spokespersons who understand the cultures of the nations to whom they are speaking. These ambassadors of Israel must make the empirical and undeniable case for why ancient, biblical and ancestral Jewish villages are being rebuilt and restored as a direct and justified response to murderous aggression by the so-called Palestinians. The world must be told that, if for example, the Palestinian Arabs set out to murder Israelis, permanent Israeli villages will be created and recreated in Judea and Samaria – each one named after a Jewish victim. This must be official and non-negotiable Israeli policy. Only then will Mahmoud Abbas and his cronies in the so-called Palestinian Authority or the Hamas thugs see where their hate and aggression is leading them. It should start with a direct and irrevocable response to the murder of IDF soldier Tomer Hazan and Gabriel (Gal) Kobi, shot by a PA sniper. Hillary Clinton once spoke about “it takes a village.” Israel’s response to continuing murderous rampages and atrocities by the Arabs-who-call-themselves-Palestinians will thus result in new and rebuilt villages, which will grow and grace the hills and valleys of Judea and Samaria, while immortalizing the names of the Jewish souls lost to Muslim hate. If Israel’s leaders reject this Zionist response to Arab terror then the words of Euripides will, alas, come true. Will Israel’s government finally hear, or will another nine years and yet more precious lives be lost? 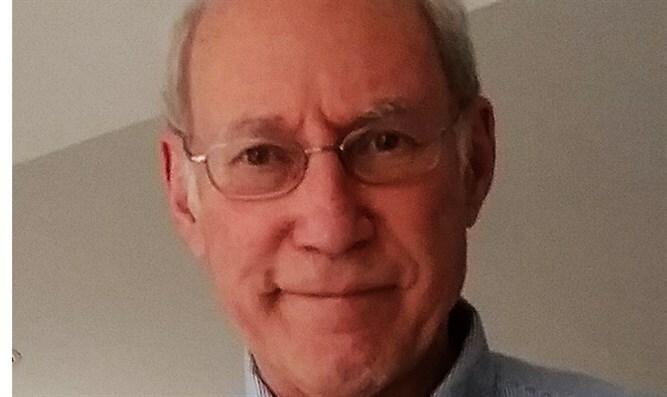 Victor Sharpe is a freelance writer and author of several books including The Blue Hour, a collection of short stories, and Volumes One, Two and Three of Politicide: The attempted murder of the Jewish state.